I love all the energy drinks and carbonated drinks. I feel really energetic after having mouthful sips of them. I used them so excessively that my stomach got upset, so this is also a warning for you guys out there reading this article. Excess of everything is bad, unless it is some creative or recycling activity. 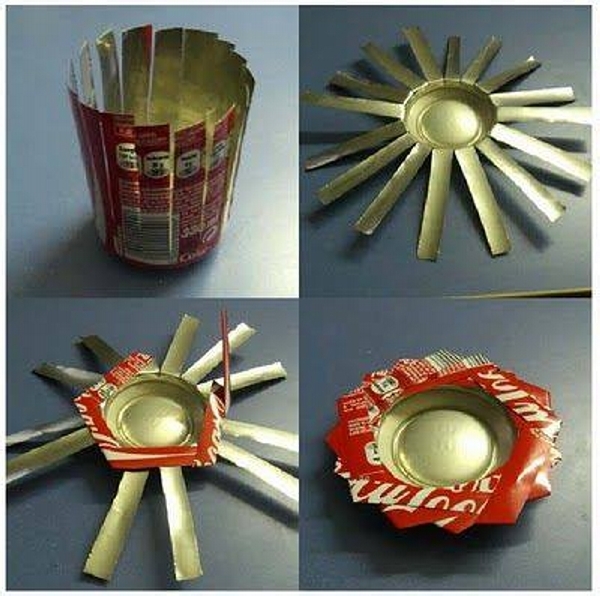 Well, just on a lighter note, use these aluminum cans in some recycling ideas and make your life more colorful and creative man. look here, aluminum tin cut to size sheets are turned into very attractive artificial flowers to lure your kids. My childhood was so colorful, I had a whole range of small toys cars and dinkies. But I wish I could have this one. 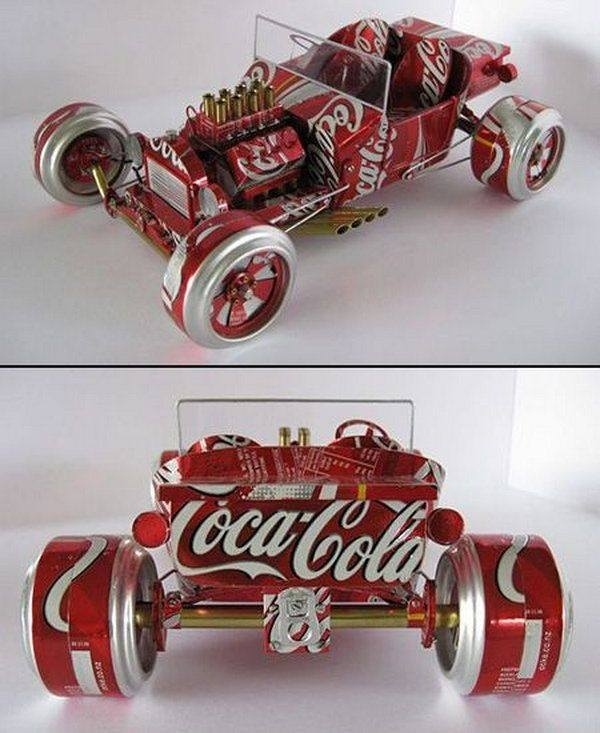 This is an old vintage car recycled with the aluminum cans. 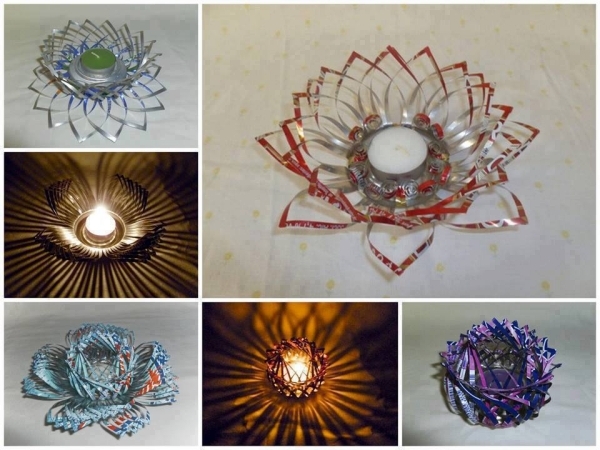 This really convincingly reminds me that how much a person can be creative towards recycled art crafts. The next one is a tree leaf, this is not a withered one but quite green and fresh one. 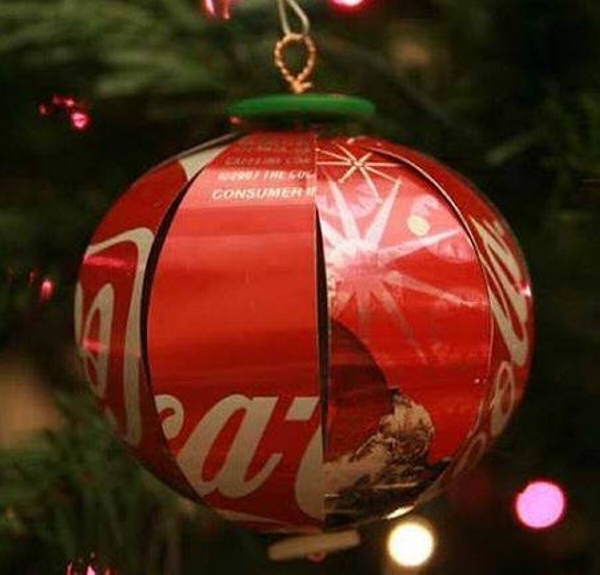 But pardon me, this is again recycled with the aluminum can not the real one. 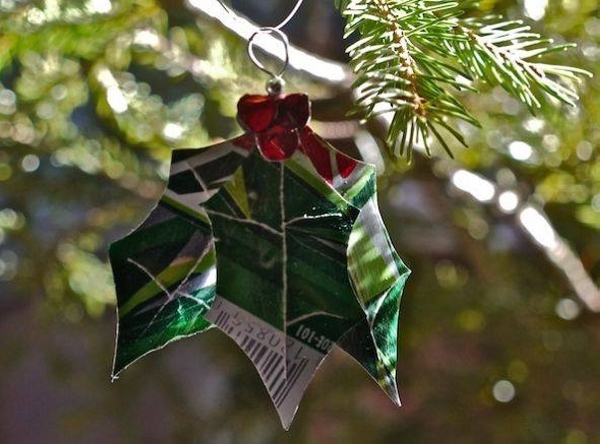 This is hanging with a branch of a green tree full of green leaves. 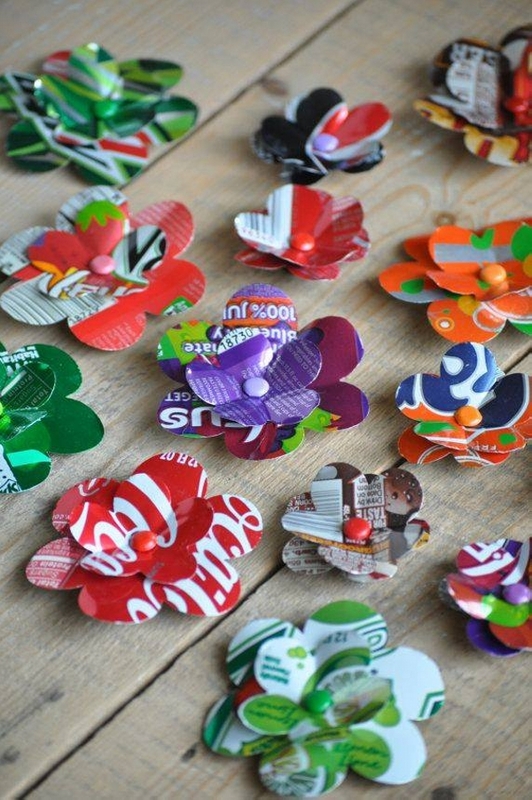 We have done a lot of projects where we recycled some paper flowers made out cardboard. But this one is purely aluminum based one. 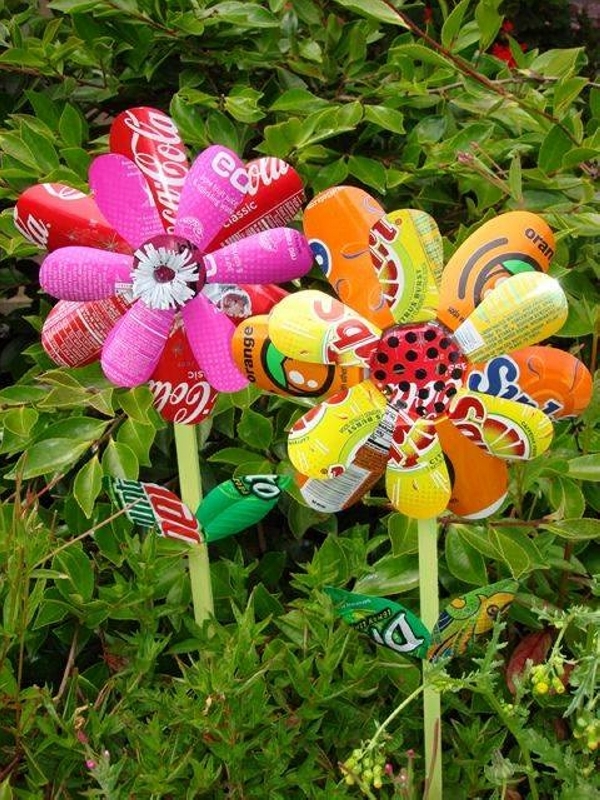 These charming and attractive flowers are recycled using the aluminum cans. But you have got to be very careful while working on these projects as they might harm or cut your skin. Aluminum can recycling is a very intensive recycling activity so before you get into the field, it would be better to take all the necessary measures like putting on some huge goggles and wearing some thick gloves and make this sweet caricature at your own.